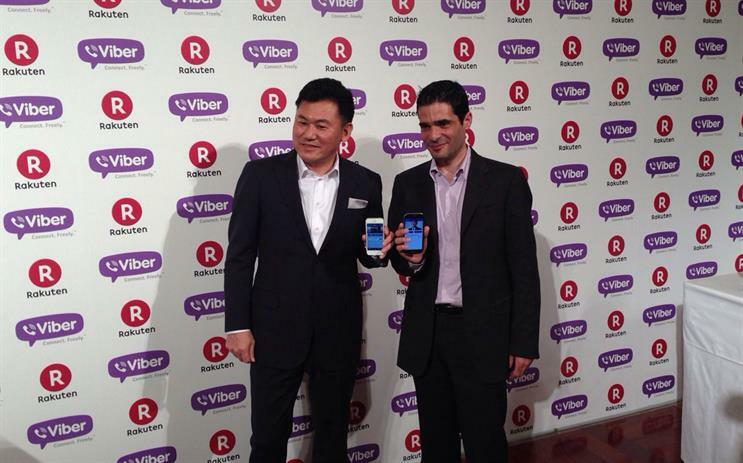 Rakuten, the e-commerce company that owns Play.com and e-reader brand Kobo, has acquired messaging and VoIP company Viber for $900m (£540m). The acquisition is Rakuten’s latest move into the digital content space following the acquisitions of Kobo, on-demand streaming site Wuaki.tv, and Singapore-based video streaming site Viki. Viber has a user base of 300 million registered users and the acquisition is designed to enable Japan-based Rakuten to "penetrate new markets with multiple digital content offerings", in conjunction with its e-commerce and financial services platforms. Hiroshi Mikitani, Rakuten chairman and chief executive, said: "Viber delivers the most consistently high quality and convenient messaging and VoIP experience available. "Additionally, Viber has introduced a great sticker market and has tremendous potential as a gaming platform. Simply put, Viber understands how people actually want to engage and have built the only service that truly delivers on all fronts. This makes Viber the ideal total consumer engagement." Rakuten claims to be the third-biggest e-commerce company and is centring all its services around a unified ID membership database that rewards customers with the Rakuten Super Points loyalty programme.